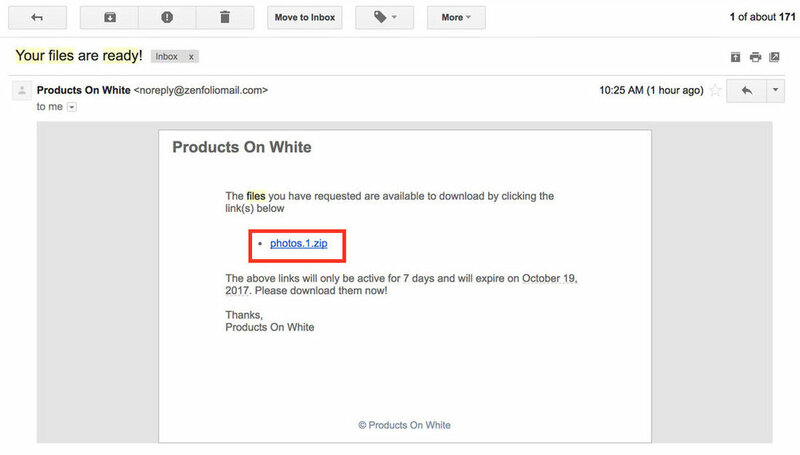 The company that hosts our image gallery, Zenfolio, updated their systems recently requiring customers to provide an email address when downloading more than 1 photo at a time. A download link is then emailed. That email is not saved for marketing purposes. Most of the time this email arrives immediately. However, we've heard reports that during high volume times this email can take up to 1 hour to arrive. We apologize for this inconvenience. We are working closely with support to resolve this issue and are investigating other delivery solutions. Email us directly if you are having this issue and we may be able to deliver the images through a faster method. Double Click the thumbnail of the image you want to download. While viewing in the large image mode, hover over “download” to see the download options. If you choose this option it will download the image on the screen immediately using your browser. Images are downloaded in full resolution. If you choose "All Available Originals", an email request pop-up will display. Enter your email to receive a link. Step 4: (all available originals only): Get email link to zip file. If you choose all available originals, you must enter your email to get a download link to the images. This email is not saved or used for any marketing purposes. You should receive an email immediately with a link to the images. The email will come from noreply@zenfoliomail.com, so check your spam if you don't see it. Click “Select Photos” to choose multiple images to download. Hover over the image thumbnail and click the circle on the bottom left to select the image, select again to unmark. This will download all the images you selected in the image format you requested with your order at once as a zipped folder. If You Only Select 1 Image the image will be downloaded immediately within your browser. If you select more than 1 image, you'll be prompted to provide an email address. Step 4: (More than 1 image selected): Get email link to zip file. After you download your images it may be time to prepare them for your website. Depending upon what file type you originally requested, you may need to convert your images to a different file format for your website. If you requested Hi Resolution Tifs for example, you'll need to convert and save your files as Jpegs in order to use them correctly on your website. The Tif files we send you are at least 3 – 4 times larger than you probably need for your website and you will need to crop them to your website dimensions and save them as Jpegs. This tutorial below will help you if need it.